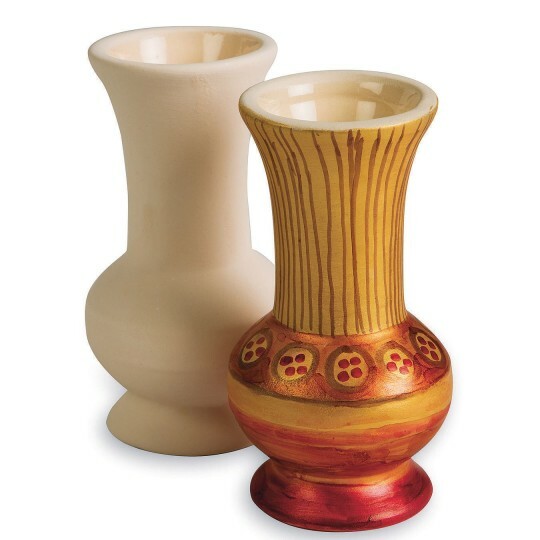 Make a pretty vase of your very own! Interior glazes make them waterproof. 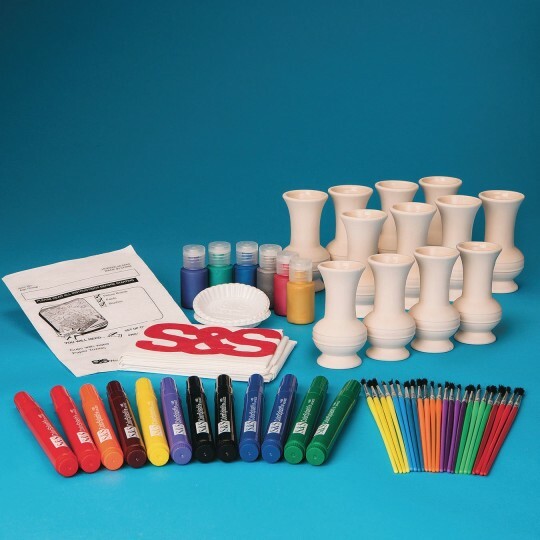 Includes 4" bisque-fired ceramic vases, assorted metallic paint, brushes, permanent markers and instructions. 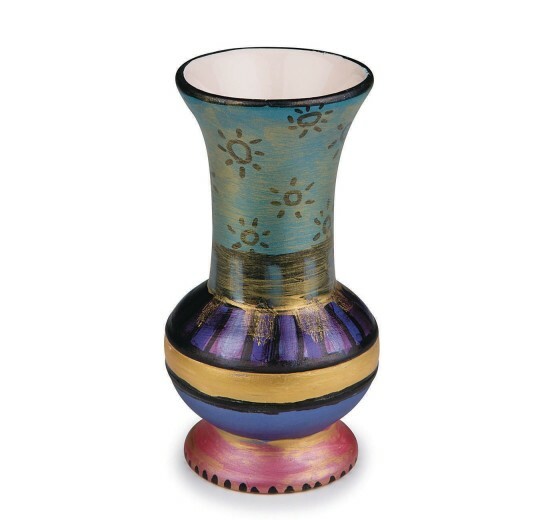 our residents really enjoyed this little vase. I like that you can use paint or markers on it. This was easy to do with our residents. They look absolutely awesome . Although they were smaller than I expected they are really cute!